Last edited by hisgrace1; 06-18-2013 at 02:41 PM. 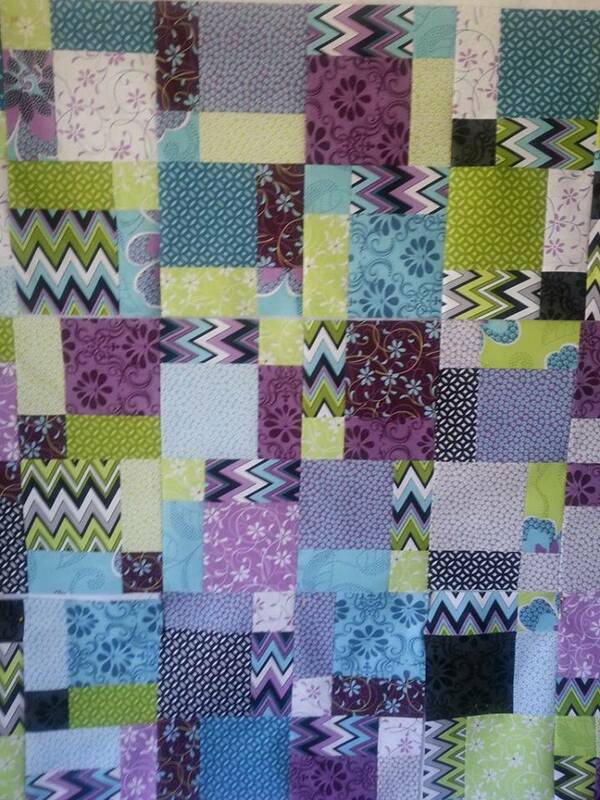 I love to do FMQ & find it very relaxing. Hopefully you will too with some practice. I'm in the final stages of quilting a variety of blocks that were made for me by ladies in my guild and thought you might use the idea. Just flowers but modern. 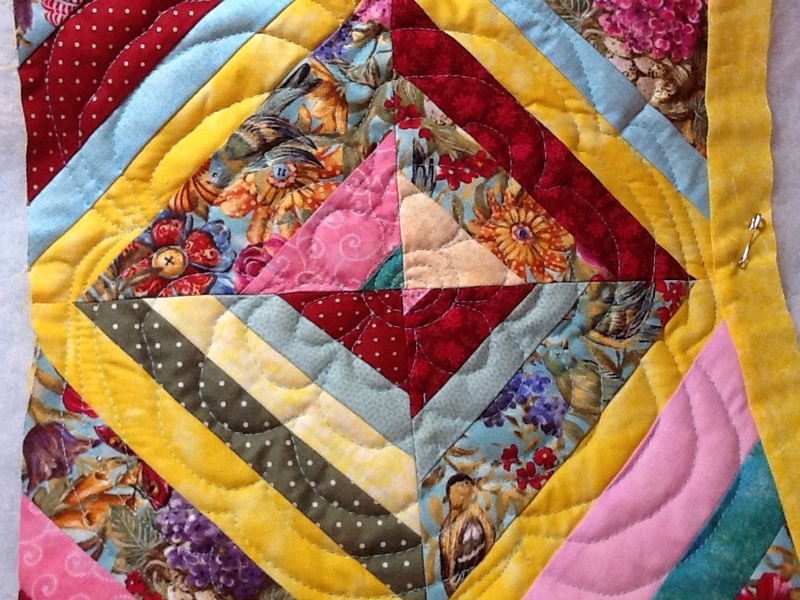 Since there are not very many places that your quilting will stand out. 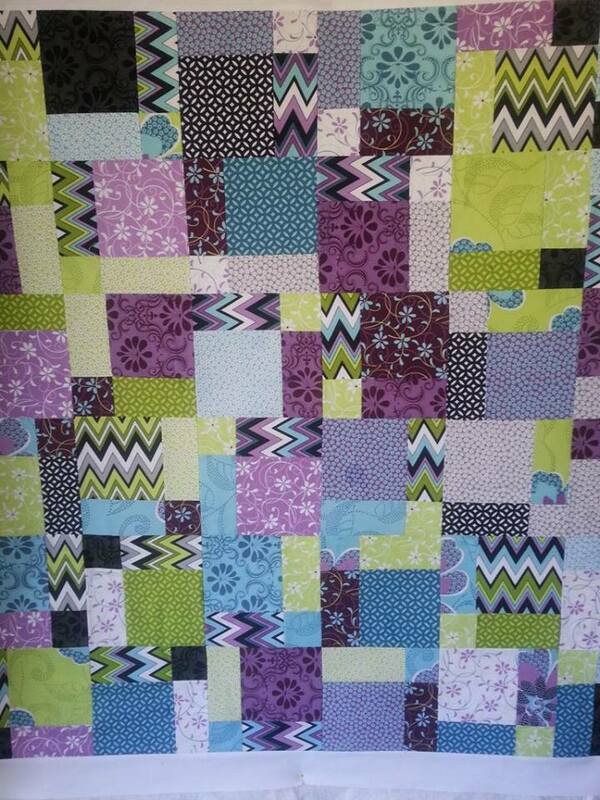 I think I would use an all over design and just stick with it for the whole quilt. 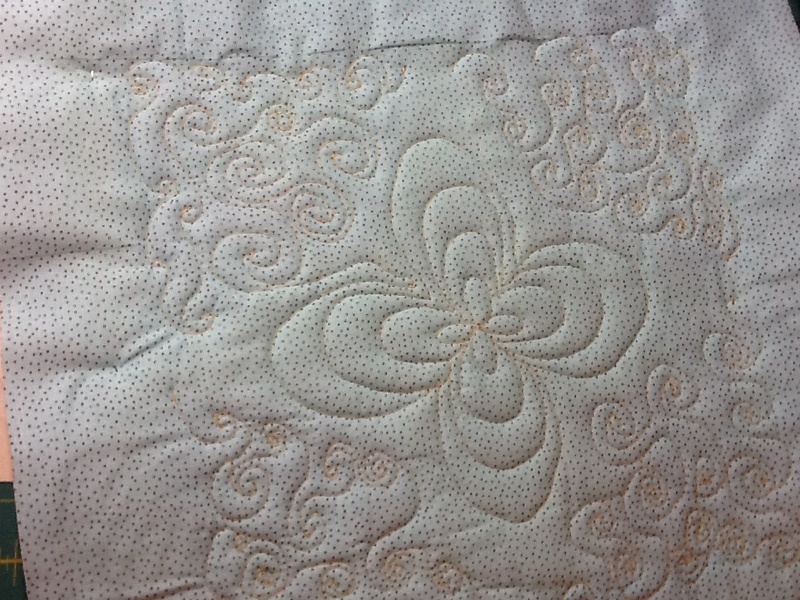 Maybe you could go over to the quilt store and get a template if you want to do more than just a stipple, leaf or scroll design. By the way, I just love these colors and the fun design. I had one similar to this one done in pink batiks that I did an all over floral free motion on. I think I might be able to find it for you to see. I just kept to the same flower in big and little flowers. Last edited by RedGarnet222; 06-18-2013 at 02:59 PM. I found it! 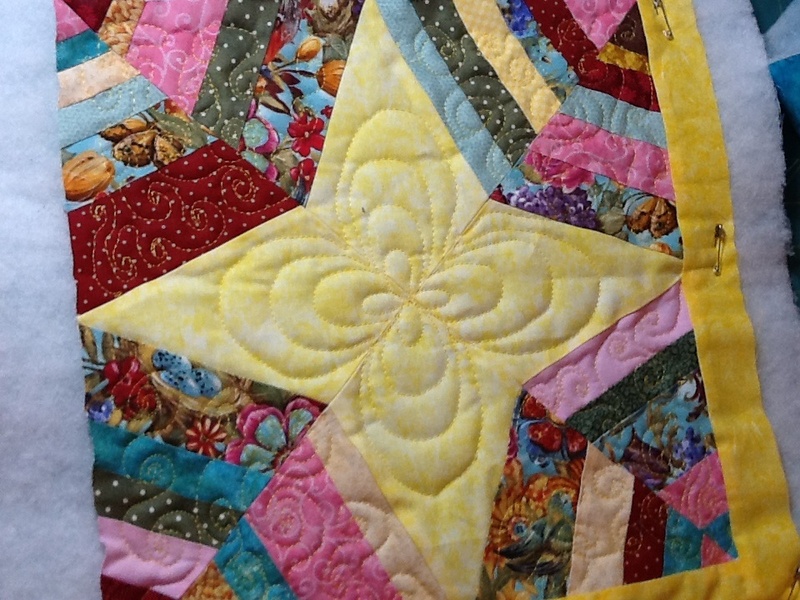 Here is the link to the scribbling quilt. 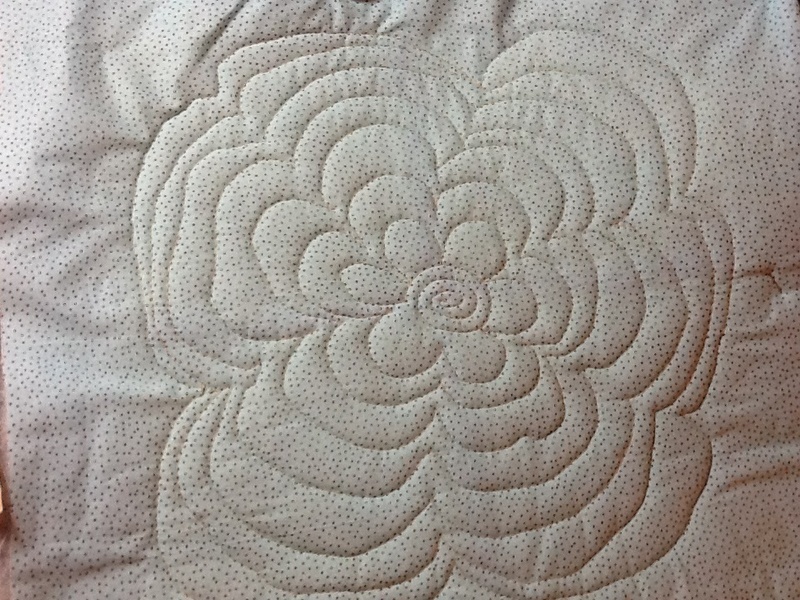 On page six I roughly drew the flower path design I did all over the quilt. Like I said it was fast and fun to do.